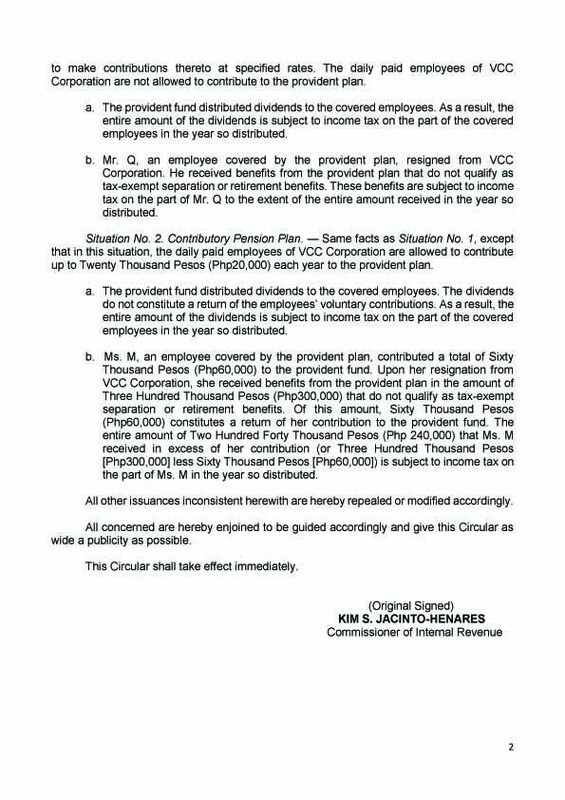 This is the BIR Memo Circular issued by Commissioner Kim Henares which spread like wildfire causing alarm to all LandBankers on the taxability of PF Share. However amidst all the talks, let us wait for the official stand of our management on this issue. paraan baka mapunta lang ito sa malakanyang. 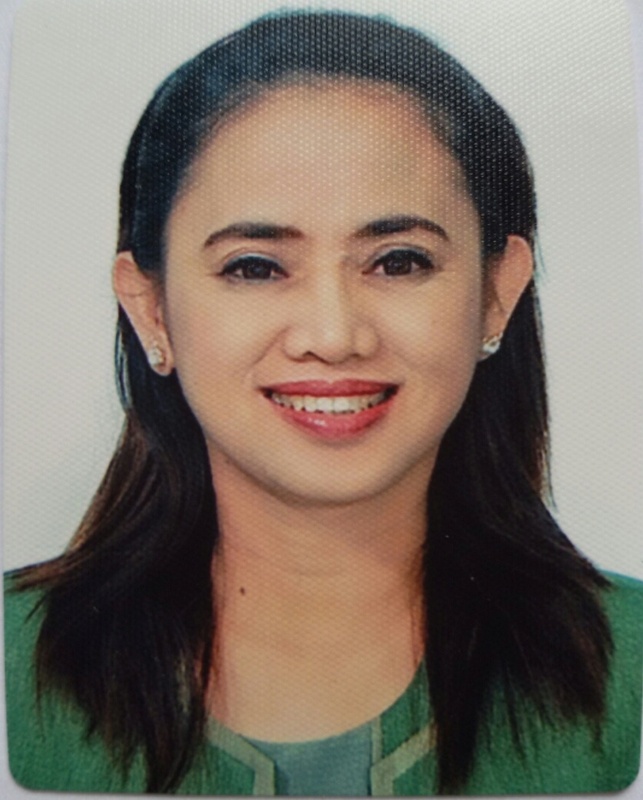 Baka pag awayan naman ito nang mga senador. 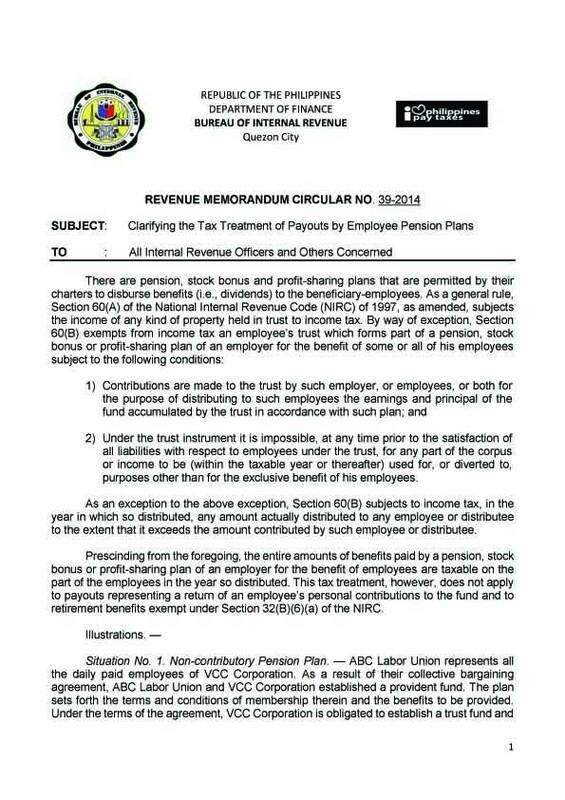 Actually, the issue was deliberated by the NEB last June meeting but the Board opted not to preempt the plan of action of the PF Board. We will have to wait for the PF Board to come up with a solution then from there the NEB has to consider its effect whether favorable or not to the ranks and make our counter proposal if so necessary. Hoping that the action of the PF Board is fast enough because this Henares is fast on the trigger, the MC is effective immediately.